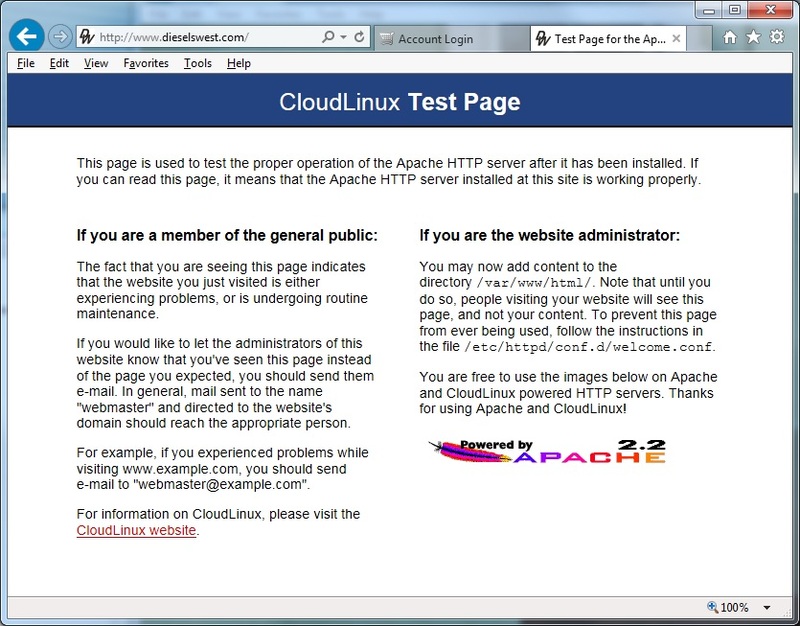 There have been a number of reports of the CloudLinux page above showing instead of the site DieselsWest. There has been speculation that the problem is with the client computer with suggestions to reset your browser or check for malware. The cause is the server blocking specific IP addresses. A post at DW Registration Code describes ongoing problems accessing content at the new site. Digital Rails is not affiliated with Diesels West.